Upon arrival at Dubrovnik Airport transfer to the hotel. The walking tour starts at 6 PM from the hotel. Due to its exceptional beauty and rich cultural heritage, this ancient town was included in the UNESCO’s list of World Heritage Sights. Dubrovnik is surrounded by fortresses and fortifications and is a real treasury of architectural and cultural masterpieces, carefully preserved through centuries. Overnight in the hotel. After breakfast we depart for a short trip of Montenegro coast, starting with Kotor. At each step of the way you can feel ancient tradition of the town that always warmly welcomed its visitors, hosted them and charmed them with the magic of its entangled narrow streets and squares, old buildings, churches and town walls. The town of Budva is known as the “metropolis of tourism” in Montenegro because it is the most visited destination in the country. The tour will be ended by visiting the interesting island of St. Stephen with a monastery and 1 km long sandy beach Jaz. Return to Dubrovnik for overnight. After breakfast free time for individual acitivies. Transfer to the port of Dubrovnik at 4 PMA to catch the catamaran to Korčula. This beautiful island is complimented by its rich tradition and gastronimic delicacies typical for the Mediterranean region. There are also beautiful beaches and bays as well as ancient villages that seem to have been lost in some old times, luring the tourists from all over the world to this island. Transfer to the hotel for overnight. After breakfast we depart for sightseeing by local tour guide at 9 AM. The town’s historic sites include the central Gothic and Renaissance Cathedral of St Mark, the Town Hall and the massive city fortifications. There is also the Korčula Town Museum, situated in the Gabrielis Palace, which is an outstanding example of 15th and 16th century residential architecture in the centre of the old town. The rest of the day on your own. Transfer to the port at 1.30 PM. Departure to Split by catamaran at 2.15 PM. Arrival in Split at 5 PM and transfer to the hotel. The walking tour of second-largest city in Croatia. Split is a great place to see Dalmatian life as it’s really lived. A walk through the ancient city takes you through time, along the great examples of ancient architecture like Peristil, the middle aged Romanesque Church and Gothic Palace, Renaissance portals of the noblemen’s houses, Baroque facades and modern architecture superbly merged in the rich heritage. Overnight in the hotel. After breakfast we departure for The Krka National Park. The first stop on the tour is the beautiful city of Šibenik. This is the first city in Dalmatia founded by Croatians. A short pleasant walking tour of the old part of the city will include the visit to the world famous St. James Cathedral, which is a part of the UNESCO World Heritage List. After Šibenik, the tour continues to Krka National Park. Named after the Krka River, The Park covers of just over 142 square km and includes two thirds of the river itself. The top attraction of the Park are its magnificent waterfalls, including the famous waterfall Skradinski Buk, which is one of Croatia’s most famous sights. Overnight in the hotel. After breakfast, we take a short trip that includes Solin, Klis and Trogir. Ancient Roman Salona is the largest archeological site of Roman and Early Christian ruins in Croatia. Klis is a village in central Dalmatia, located close to Split. It is known for its famous fortress that used to be a symbol of Croatian resistance, during the time of Turkish breach. We continue towards Trogir, a small town, under the protection of UNESCO. Trogir was on the site of a former Greek settlement of Tragurium, that exalts us today with its historical monuments which stand there like an evidence of its rich past. Transfer to the hotel for overnight. After breakfast transfer to Split Airport. Upon arrival at Dubrovnik Airport transfer to the hotel. Walking tour starting at 6 PM from the hotel. Due to its exceptional beauty and rich cultural heritage, this ancient town was included in the UNESCO’s list of World Heritage Sights. Dubrovnik is surrounded by fortresses and fortifications and is a real treasury of architectural and cultural masterpieces, carefully preserved through centuries. Overnight in the hotel. After breakfast free time for individual acitivies. 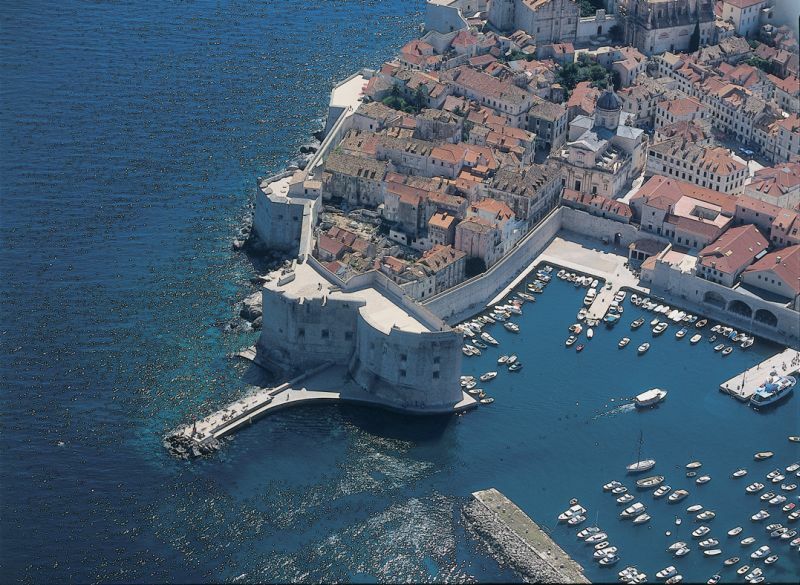 Transfer to the port of Dubrovnik at 4 PM to catch the catamaran to Hvar. Hvar represents a pearl of Croatian tourism. As well as being the summertime haunt of celebrities, yacht-travellers and cocktail sippers of all descriptions, it also remains robustly popular with those who want a piece of the Mediterranean that is family-oriented. Transfer to the hotel for overnight. After breakfast we depart for sightseeing by local tour guide. Upon sightseeing in Hvar, we start a short trip on the island visiting Stari Grad and Jelsa. Stari Grad is the oldest town in Croatia and the historical heart of Hvar, and Jelsa is interesting for being the only area on the island with an abundance of fresh water, as a result of which there is more prolific vegetation here than elsewhere on the island. Continuing through Hvar’s lavender fields we will see many typical villages where you will have the opportunity to taste some of the excellent local wine. Overnight in the hotel. * The island tour can be replaced with the tour by boat to the island of Vis. At this tour the famous Blue Cave and Green Cave will be visited. The Blue Cave is one of the most extraordinary places on the Croatian coast due to its natural phenomenon that occurs every day. The entire cave is bathed in a radiant turqouise glow, exuding a surreal, otherwordly atmosphere ideal for scuba divers of all categories. The tour includes the lunch on the boat. Transfer to the hotel for overnight. After breakfast we depart for second-largest city in Croatia – Split at 8 AM. Upon arrival, transfer to the hotel. Sightseeing of the city by the local tour guide at 5 PM. Split is a great place to see Dalmatian life as it’s really lived. A walk through the ancient city takes you through time, along the great examples of ancient architecture like Peristil, the middle aged Romanesque Church and Gothic Palace, Renaissance portals of the noblemen’s houses, Baroque facades and modern architecture superbly merged in the rich heritage. Overnight in the hotel. After breakfast we departure for The Krka National Park. The first stop on the tour is the beautiful city of Šibenik. This is the first city in Dalmatia founded by Croatians. A short pleasant walking tour of the old part of the city will include the visit to the world famous St. James Cathedral, which is a part of the UNESCO World Heritage List. After Šibenik, the tour continues to Krka National Park. Named after the Krka River, The Park covers of just over 142 square km and includes two thirds of the river itself. The top attraction of the Park are its magnificent waterfalls, including the famous waterfall Skradinski Buk, which is one of Croatia’s most famous sights.Overnight in the hotel. Upon arrival at Dubrovnik Airport, picking up the car. Walking tour of the town by local tour guide.Due to its exceptional beauty and rich cultural heritage, this ancient town was included in the UNESCO’s list of World Heritage Sights. Dubrovnik is surrounded by fortresses and fortifications and is a real treasury of architectural and cultural masterpieces, carefully preserved through centuries. After breakfast we depart for a short trip of Montenegro coast, starting with Kotor. At each step of the way you can feel ancient tradition of the town that always warmly welcomed its visitors, hosted them and charmed them with the magic of its entangled narrow streets and squares, old buildings, churches and town walls. The town of Budva is known as the “metropolis of tourism” in Montenegro because it is the most visited destination in the country. Particulary interesting is the island of St. Stephen with a monastery and 1 km long sandy beach Jaz. Overnight in the hotel. After breakfast we depart for Mostar. Afternoon sightseeing tour of the Old City of Mostar recently included in the UNESCO’s List of World Cultural Heritage. A guide will take you around the oriental part of the town, with the Old Bazaar full of lively shops and workshops; we will visit the mosque and a typical Turkish house and walk across the legendary Ottoman Bridge from the 16th century that the city was named after. Overnight in the hotel. After breakfast we continue out tour to Sarajevo. Afternoon city tour of Sarajevo including Baščaršija, Gazi Husref bei Mosque and Tunnel War Museum. Overnight in the hotel. After breakfast we depart for second-largest city in Croatia – Split. Upon arrival, transfer to the hotel. In afternoon hours sightseeing of the city by the local tour guide. 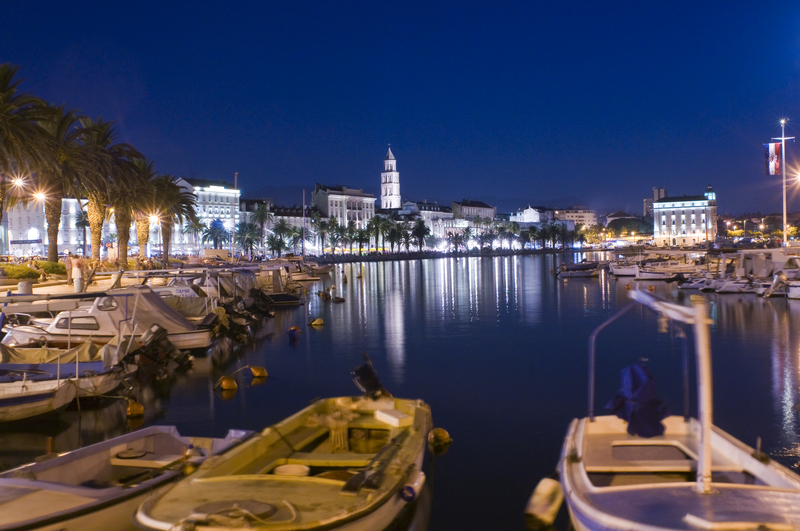 Split is a great place to see Dalmatian life as it’s really lived. A walk through the ancient city takes you through time, along the great examples of ancient architecture like Peristil, the middle aged Romanesque Church and Gothic Palace, Renaissance portals of the noblemen’s houses, Baroque facades and modern architecture superbly merged in the rich heritage. Overnight in the hotel. After breakfast we departure for The Krka National Park. The first stop on the tour is the beautiful city of Šibenik. This is the first city in Dalmatia founded by Croatians. A short pleasant walking tour of the old part of the city will include the visit to the world famous St. James Cathedral, which is a part of the UNESCO World Heritage List. After Šibenik, the tour continues to Krka National Park. Named after the Krka River, The Park covers of just over 142 square km and includes two thirds of the river itself. The top attraction of the Park are its magnificent waterfalls, including the famous waterfall Skradinski Buk, which is one of Croatia’s most famous sights.Transfer to the hotel for overnight. After breakfast drop off the car on the airport. Upon arrival at Split Airport, picking up the car for Biograd na Moru. 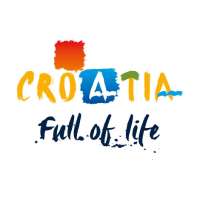 Once a town where the kings of Croatia were crowned, Biograd na Moru is today a very strong and modern touristic center and the seat of the riviera by the same name. Free time for individual acitivies. Overnight in the hotel. Morning departure to The Kornati National Park, often mentioned as “nautical paradise”. Almost hundred unforgettable islands, islets and reefs makes this region ideal for water sports (sailing, sport-recreational fishing, scuba diving, snorkelling) and for those who enjoy seclusion, better known as Robinson tourism. Overnight in the hotel. After breakfast we’ll visit The Krka National Park. Named after the Krka River, The Park covers of just over 142 square km and includes two thirds of the river itself. The top attraction of the Park are its magnificent waterfalls, including the famous waterfall Skradinski Buk, which is one of Croatia’s most famous sights. 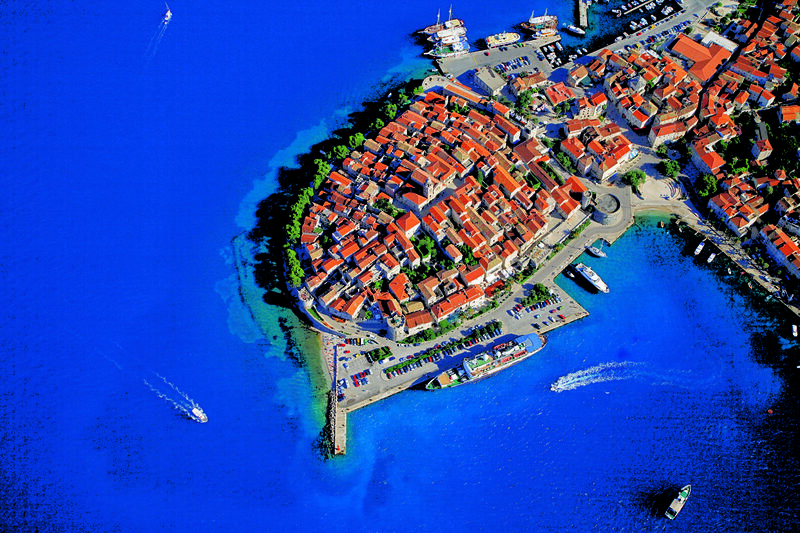 On the way back we will visit the town of Trogir, included in the UNESCO’s World Cultural Heritage List. Surrounded by medieval walls, Trogir has many buildings that testify to its rich history. The most notable ones are the Cathedral with the famous portal of Master Radovan, the Town Loggia from the 15th century, the Town Hall, the Ćipiko Palace and the Benedictine Monastery from the 11th century. Overnight in the hotel. Morning walking tour of the city. Split is a great place to see Dalmatian life as it’s really lived. A walk through the ancient city takes you through time, along the great examples of ancient architecture like Peristil, the middle aged Romanesque Church and Gothic Palace and Renaissance portals of the noblemen’s houses. In afternoon hours we take a short trip that includes visiting Solin and Klis. Ancient Roman Salona is the largest archeological site of Roman and Early Christian ruins in Croatia. Klis is a village in central Dalmatia, located close to Split. It is known for its famous fortress that used to be a symbol of Croatian resistance, during the time of Turkish breach.We continue towards Trogir, a small town, under the protection of UNESCO. Trogir was on the site of a former Greek settlement of Tragurium, that exalts us today with its historical monuments which stand there like an evidence of its rich past. Overnight and drop of the car at the hotel. After breakfast catamaran will take us to the sunniest island in Croatia – Hvar. 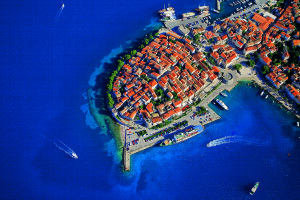 Hvar represents a pearl of Croatian tourism. As well as being the summertime haunt of celebrities, yacht-travellers and cocktail sippers of all descriptions, it also remains robustly popular with those who want a piece of the Mediterranean that is family-oriented. Free time for individual activities. Overnight in the hotel. After breakfast we depart for sightseeing by local tour guide. Upon sightseeing in Hvar, we start a short trip on the island visiting Stari Grad and Jelsa. Stari Grad is the oldest town in Croatia and the historical heart of Hvar, and Jelsa is interesting for being the only area on the island with an abundance of fresh water, as a result of which there is more prolific vegetation here than elsewhere on the island. Continuing through Hvar’s lavender fields we will see many typical villages where you will have the opportunity to taste some of the excellent local wine. Transfer to the hotel for overnight. After breakfast we start a tour by the boat to the island of Vis. At this tour the famous Blue Cave and Green Cave will be visited. The Blue Cave is one of the most extraordinary places on the Croatian coast due to its natural phenomenon that occurs every day. The entire cave is bathed in a radiant turqouise glow, exuding a surreal, otherwordly atmosphere ideal for scuba divers of all categories. The tour includes the lunch on the boat. Transfer to the hotel for overnight. Upon arrival at Split Airport, picking up the car for Vodice. This small city distinguishes itself through a rich gastronomical offer, great nightlife, cultural content and kilometers of beaches. Vodice has earned a top award named The Flower of Tourism, given to a town which invests in the constant improvement of its touristic offer. The Vodice Riva has won the title of the best Riva in Croatia. Free time for individual activities. Overnight in the hotel.